On Friday morning Nathan was examining a child in the club foot clinic. He looked over to the ER just adjacent to the room where he was casting and saw Dr. Bill McCoy treating a patient who had been accused of sorcery. In PNG and other countries around the world, death is not seen as an accident or natural part of life. It is believed that death comes because someone else brought it about. A woman is usually accused of causing the death and she is tortured for her supposed sorcery. Just a few months ago a toddler chocked on some food and died. Two women were accused of causing the child’s death and were tortured for 36 hours before the police rescued them. One died shortly after and the other woman was brought to the hospital, but she, too, died from her injuries. In an effort to stop the torture, the woman will sometimes accuse another of sorcery and the cycle continues as the blame is shifted to someone else. Several years ago a woman was accused of sorcery and was burned alive. Her young daughter was taken to a place of supposed safety, but on Friday this little girl was brought to Nazarene Hospital because she became one of the youngest victims of torture after being accused. Six years old. Six. We are here to help bring medical care for people who would not otherwise have it, but more than that we are here to bring the hope of Christ. He will bring freedom from the chains of evil. He will mold a society that is uniquely Papua New Guinean. A society that is not bound by superstition but instead values each member as a child created in His imagine. In the midst of horrible situations like this, there is hope that is found only in Christ. Will you pray with us that God will break the bonds of this practice. Pray for this child as she walks the long path to physical and psychological healing. A quick update to let you know that we are doing well. A cold has been running through the station and our family seems to be through the worst of it. Daily rains have returned and our water tanks are once again full. The internet this month has not been working well, so I haven’t been able to blog much. Hopefully it’ll start working better again so I can catch up on blogging and emails! It was startling to see when we first arrived. Drops of bright red are found all over the ground at the markets and in town. It comes from chewing betel nut. The bright red stains the user’s mouth and leaves red splotches on the ground from spit. It gives the person a high and a sense of euphoria. It also causes mouth and throat cancer. This article by the BBC describes the growing problem of betel nut use in Papua New Guinea. It’s not uncommon to see young kids with lips and teeth stained red from use. The soaring use along with limited medical care available means the incident of oral cancers will continue to increase. Please pray for the staff as we treat patients with this cancer and pray that as people find freedom in a relationship with Christ, that they will also be freed from the addiction to buai. As we enter the middle of October we would like to say thank you to some special families we know. Nathan and I both grew up as pastor’s kids. We’ve seen the high and lows that come with being in the ministry. We’ve seen the sacrifices our parents have made and the faithfulness of God through it all. We’ve seen the difference church members make who are not only their pastor’s cheerleaders, but also their partners in ministry. We’ve seen the wounds that run deep when critics go a step too far. We’ve witnessed the joys when churches come together to support each other and see lives changed. Besides being PKs, we have many friends who have pastored. I hesitate to list them, because my tired mommy brain is sure to forget someone, but I think it’s important for the Vavold family, Martin family, Brown family and Torgerson family to know how much we appreciate them. We pray for you all often and whether you are experiencing the mountain top of ministry or the valleys that come as well, know that your faithfulness has not gone unnoticed. Thank you for the work you are doing no matter where you are right now. 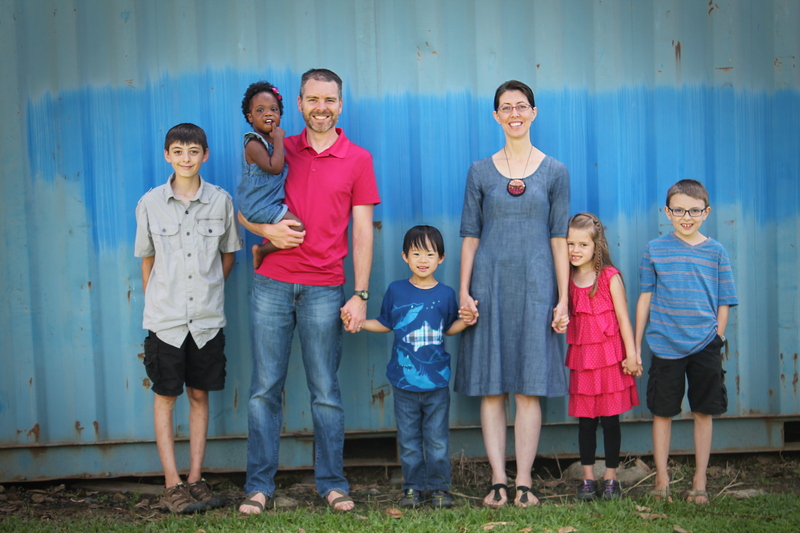 We’d also like to say a big thank you to the Johnson family who pastor our home church. It’s not an easy decision to move from the big city to a small town. It’s not easy having the full time job as pastors as well as another job to help pay the bills, but it has been exciting to see the spiritual growth. We are grateful for your willingness to follow God’s call. We’d also like to thank my parents who are pastoring in Medford. I am grateful for the extra time we had to spend with you before moving here. I got to see your ministry through the eyes of an adult and appreciate the spiritual depth you both bring to teaching and worship. Thank you for your faithful example to following God’s leading in your lives. During this month of October, and throughout the year, take the time to let your pastor know that you appreciate their dedication. Be their cheerleader and partner in ministry. One of the exciting things the hospital is involved in is training PNG doctors. Some come for three month rotations, but we are also involved in a six year training program for doctors interested in working in rural areas. Dr. Scott Dooley shares his excitement in being involved in this training. And Dr. Erin Meier explains more about the program as Dr. Imelda is finishing her rural registry program and Vuia is considering joining us for the next six years in his training. It’s been a privilege to know Mel and Vuia and see their hearts for bringing medical care to the many people living in rural PNG. With many villages only accessible by days of walking or by airplane, it can be difficult for people to access medical care. There are many districts that do not even have a doctor nearby. This map shows where the doctors are located and how many areas have no doctor. The work of Nazarene Health Ministries is vital for the people we serve, not only at the hospital, but also in remote areas of PNG. Read more here about what is being done to provide medical care and see a beautiful picture of the landing strip at Imane Nazarene Health Center where there are no doctors and no roads.